Bill Paxton passed away this weekend at the age of 61. We asked our writers if they wanted to contribute a memory of the underrated actor to supplement our obituary. Below is what we received. Our sincere condolences to his friends and family. He will be sincerely missed. 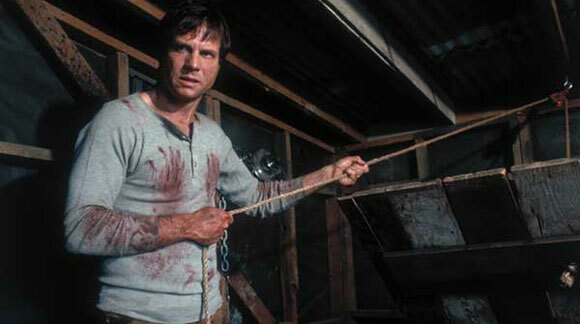 When I think of Bill Paxton, I think of underrated range. He's one of those few actors who would work in any size film, any size role, and find a way to make his screen time memorable. 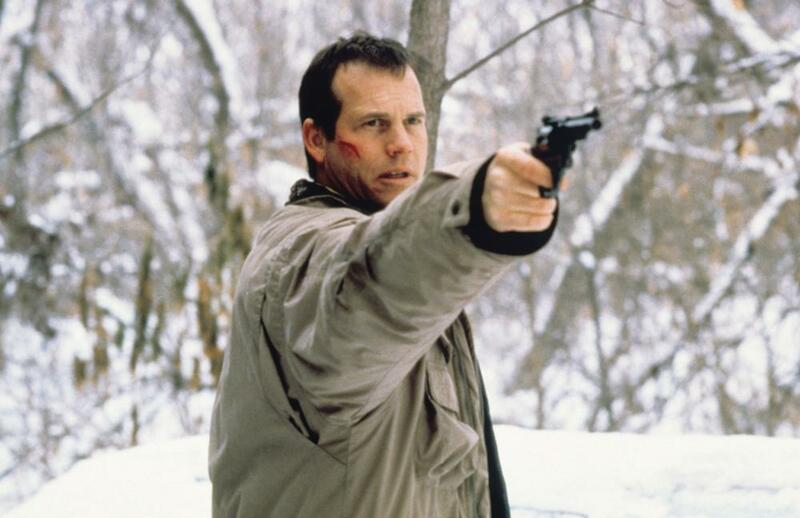 There was a brief window where it appeared Paxton would ascend to another critical level of fame on the strength of reviews for "A Simple Plan" and "One False Move" (his two best performances in film), but it never quite happened and he went back to stealing films in smaller roles (and doing underrated work on TV, especially in "Big Love"). Paxton's name was a smile generator when you saw it in the credits. "Oh, he's in this. I bet it will be pretty good." There aren't enough actors like that—reliable enough that their mere presence elevates an entire production. James Cameron knew it. Kathryn Bigelow knew it. Sam Raimi knew it. Carl Franklin knew it. We all knew that Bill Paxton was something special, maybe even more than he did. And it's a true shame that more directors won't be able to know it in years to come. Bill Paxton first made a huge impression on me in 1988 when I first saw Kathryn Bigelow's "Near Dark" on video. I hadn't yet put together that he was also in "Weird Science" or "Aliens," probably because he didn't look like a marine this time, but rather an early incarnation of Trent Reznor. As the merciless and charismatic killer Severen, Paxton proved he was an actor who could easily walk into a room and steal any scene he was in—the bar scene in "Near Dark" is evidence of that. Yet he never tried too hard to cash in on that ability. He remained a solid, working-class actor who could be versatile and down to earth, whether he was a cowboy, an astronaut, a tornado chaser, a Mormon in a plural marriage or just a working stiff trying to make ends meet. While he delivered some of the most quotable lines in film history, he remained an essential "everyman" actor as well as a great storyteller (see his directorial effort "Frailty," Roger gave it 4 stars). He will be greatly missed and everyone should listen to Marc Maron's interview with him on "WTF," posted on February 6, 2017 (Paxton starts at the 24:00 mark and runs about 70 minutes). Paxton continued to be a lively talk-show guest even recently. Watch him reveal a crush he had on one of his former co-stars over on a weeks-old episode of “The Late Late Show with James Corden.” Watching these clips again reminded me how much I’m gonna miss watching Paxton, not only when he was in acting mode, but when he was just his fun-loving self. Bill Paxton hosted a night of films on TCM in January 2013. Like probably many other viewers, I expected him to choose films led by the kind of American everymen that Paxton himself played so many times throughout his career. I figured we'd see Gary Cooper in "Sergeant York" and Jimmy Stewart in "Winchester '73." Paxton would cue up the films with TCM host Robert Osbourne, and add in anecdotes from playing Morgan Earp in "Tombstone" (1993) or conflicted polygamist Bill Henrickson in five seasons of HBO's "Big Love" (2006-2011). Instead, Paxton began his evening of screenings with Fellini's kaleidoscopic "Juliet of the Spirits" (1965). Yes, Chet from "Weird Science" (1985) chose a movie centered on an aging, Italian housewife inundated by visions of half-naked people crammed onto otherworldly barges. Paxton talked at length about the film before and after the movie, and what it meant to him. After learning about his untimely death, I scoured YouTube and the web searching for those wraparounds, but came up short. I did find an old promo for Paxton's night on TCM still floating around on the channel's website. During the only available minute of Paxton's critical observations, he speaks of "a phantasmasmagoria of images" and "the characters, and the costumes, and the colors." Bill Paxton was more than just an actor. He was a true cineaste. Losing him too early is more than a just a loss for the movies themselves, but also for how we appreciate them. Bill Paxton was an actor that defied categorization. He occupied this middle ground between leading man and character actor, but did whatever he was asked to do on an incomparable level. Paxton subverted expectations with his invisible versatility. Do you need a hardened badass? Get Paxton. Do you need a sniveling coward? Get Bill Paxton. Do you need a relatable everyman? Get Paxton. Do you need a Jimmy Buffett knockoff? Get Bill Paxton. And yet each and every one of these disparate personas were equally convincing on the screen, a feat that only a select few talents could ever pull off. For me, Bill Paxton was a cornerstone of my VHS education. Most people remember his role of Private Hudson in James Cameron’s “Aliens.” Of all the memorable lines in “Aliens” none stands out more than his stressed out way of exclaiming, “Game over, man. Game over!” Paxton’s voice cracks at the end of the line and it’s impossible not to recite the line without reaching for that higher octave. There was just something about Paxton’s presence in the genre films of the ‘80s that lent them a sense of credibility, even when Paxton’s character was doomed—he is one of the few actors to have characters killed by an alien, predator, and terminator. Few could anchor a film with a leading performance or just provide a bit of memorable flavor in a supporting role. Gone too soon, Bill Paxton will endure in the memories of movie lovers because of his ability to make everything he was in just that much better. Tom Hanks was writing “That Thing You Do” in the downtime while filming "Apollo 13." In the finished script, he named the jazz great in his story, Del Paxton. His co-star at the time, of course, was Bill Paxton and if I can think of a more humbling tribute to one of my favorite actors I will try to include it here. While many first took note of Paxton as the tortuous older brother, Chet, in John Hughes’ “Weird Science,” I first saw him in the role of Private Hudson in James Cameron’s "Aliens." It is easy to dismiss the character as a buffoon or cowardly comic relief. What Paxton does with that character is to carve out the clichéd element that is a standard in so many monster films and connect his role directly to the audience and become their surrogate. Hudson was everything we wanted to be while taking a return trip to Ridley Scott’s original nightmare—strong, bold and cocky. Then as the terror sunk in he was as scared as any of us. As this did provide for memorable moments (“Game over, man!” & “Why don’t you put her in charge?”) Paxton then helped redefine the character as the person every one of us would hope to be in the face of such perilous adversity. He regrouped and in his final moments became the badass he always purported to be. The roles of Chet, Hudson and Severen in “Near Dark” is a three-year stretch of iconic roles that would cement a legacy in any actor’s career. But his career was reshaped once again with the starring role in Carl Franklin’s “One False Move,” again playing a cocky small town sheriff hoping for action that then had to face his inner demons and prove himself to his doubters. It was the perfect bridge to the next phase of his career in acclaimed roles in both mainstream and independent films. His own directorial debut, “Frailty,” is an amazing film that deserves to be mentioned amongst the finest first efforts in history. Paxton had that everyman appeal that, like jazz, can sometimes be summarily dismissed without the proper understanding of what it makes it zing. Hanks was not only right about that but when he met Bill’s parents on the set of “Apollo 13,” he told them that people would come up to him and say, “Aren’t you in that Bill Paxton film?” So many actors can say that today and say it proudly. For me, any film he appeared in was indeed a Bill Paxton film. I had no idea that Bill Paxton was always a part of my life until somebody told me that he directed the video for the Barnes & Barnes novelty song “Fish Heads,” which ran on “Saturday Night Live” in 1980. I vividly remember watching it when it aired and not knowing quite what to make of it. This was a common reaction to “SNL” during those early seasons when it was heavily influenced by the downtown New York art scene and its equivalents in other cities. The video starts out in black-and-white, still a signifier of capital-A Art to this day, then it turns to color when the hero, played by Paxton, picks up a fish head and it begins singing to him. In retrospect this all seems very in character for Paxton, who infused many of his memorable early supporting roles with a spirit of genial anarchy. He made a powerful impression, sometimes in brief roles and other times fully-fleshed out supporting parts. He was the loudmouthed punk in the original “The Terminator”; the shotgun-toting, buzz-cut, hilarious jerk Chet in “Weird Science”; Hudson in “Aliens,” a whiner and quitter who finds his spine; Severen, the most volatile of the vampires in “Near Dark”; the used car salesman who’s secretly sleeping with Jamie Lee Curtis’ character and makes the mistake of bragging about it to her husband, who’s played by Arnold Schwarzenegger, in “True Lies”; and Fred Haise, probably the closest thing to an audience surrogate in “Apollo 13.” He was a great second banana, a great walk-on oddball, and a surprisingly effective, Dennis Hopper-esque scary-funny bad guy. But as he matured, he had even more surprising shadings, in films such as the psychological horror film “Frailty” (which he directed); the superb country noir “One False Move,” in which he played a Gary Cooper-in-“High Noon” sort of hero role, sensitive and reactive; “Twister” and “Titanic,” in which he delivered some of the most godawful expository dialogue in the history of American movies with a poker face. HBO’s “Big Love,” which cast Paxton as the patriarch of a family with multiple wives and children, might be his subtlest work. It’s certainly his most all-encompassing, showing that he could play the romantic lead, the put-upon businessman, the flustered dad, the political schemer and lots of other parts and make them feel like organic aspects of a whole. For me, his career best performance will always be “A Simple Plan,” where he plays a Hitchcockian small town guy who finds a bunch of money with two friends, agrees to split it three ways, then has second thoughts. The film might constitute Paxton’s most sorrowful performance as well as his most frightening: he plays an outwardly ordinary man who has no idea what kind of evil he’s capable of, and keeps sinking lower and lower until the bottom drops out. He realizes he can do anything he wants, so long as he convinces himself that he had no other choice.